Like most Indians, I am a chai fanatic. I try to add my chai spices and chai concoction into every possible dish around. 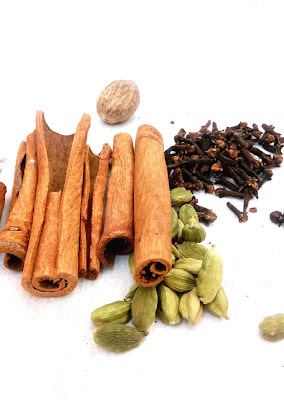 It really pleases me to get an absolutely innovative recipe with chai spices in it. Here in Mumbai , its peak summer time. 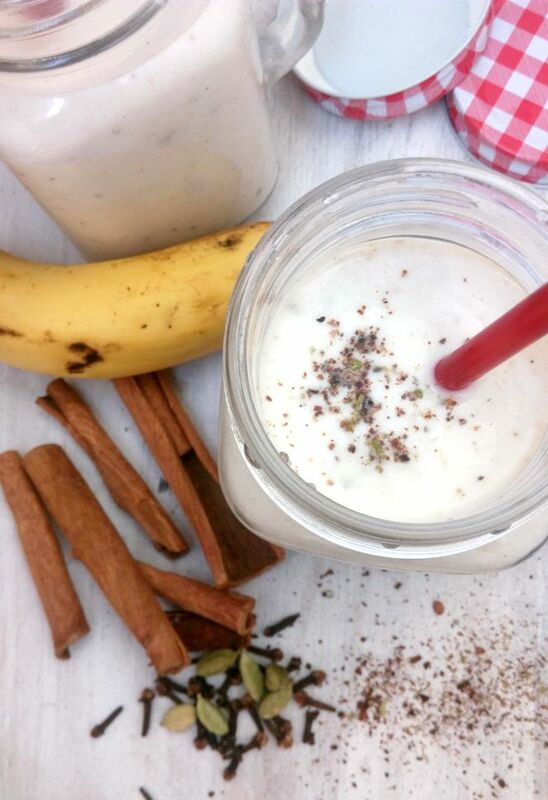 This cold, creamy and healthy smoothie satisfies the taste buds and refreshes one too. 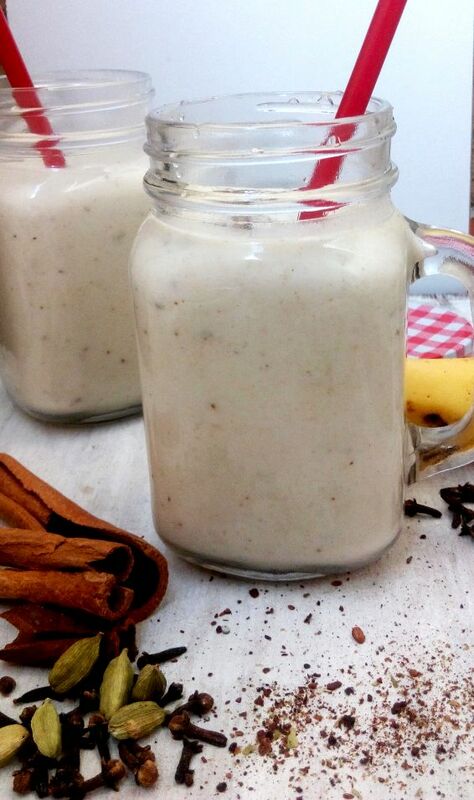 Not just that, this smoothie is extremely easy and fast to prepare. 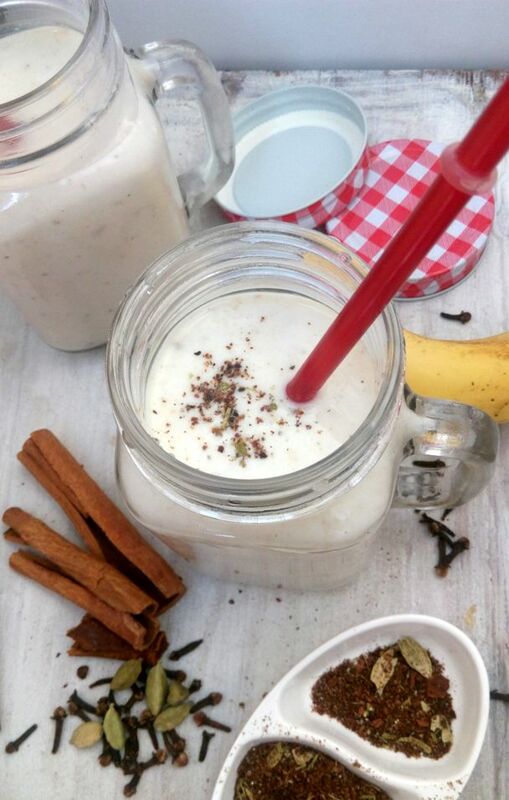 Whenever I feel like having a second breakfast ( yes i do that often, once at 6 am and second at 8am), I go for this smoothie. Thankfully my hubby and Mr6 love this too so this gives one more reason to prepare it often. Go ahead friends, try this one and let me know how it was. Take a pan, add oats and water in it. Cook this for 2 minutes on medium heat and then take it off the heat. Take a blender. Add cooked oats, milk, curd, honey, banana and ground chai spices, Puree until smooth. Serve immediately.